With Halloween, right around the corner, there’s no better time to head out for a frighteningly fun excursion. 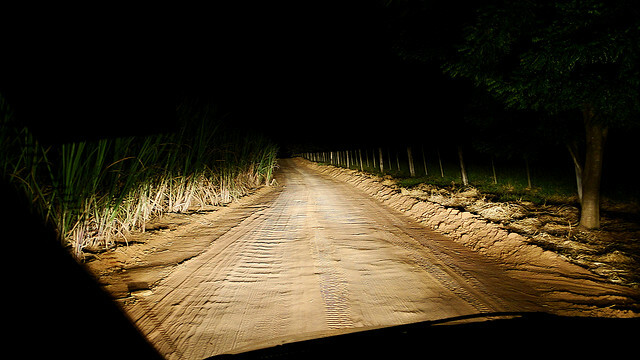 Do you dare go for a drive down these dark, dismal roads that are rumored to be haunted to this day? Dudley Rd, Billerica – According to legend, Dudley Rd is the location where three nuns were hanged for practicing witchcraft. Their convent, Daughters of Saint Paul, is still up and running today and if you dare you can take a ride down this public road and see it for yourself. Some of the nuns attempted to run and hide in a field down the road before being found and hanged, and you can still see this field today. Allegedly, a house was built on the location where the nuns were hanged and had to be abandoned months later due to the fact that it began to sink into the ground. Legend has it that you can still see this house if you drive down the road today, however you will have to look carefully, as it has sunken into the ground up to the second floor window. Tread cautiously if you do decide to visit, there have been reports of being followed and haunted by these spirits. Bridge Rd, Gardner – If you are coming off of Route 68 in Gardner, keep your eyes peeled for a tree on your left that is marked with a large red “X”. The tree marks the location where a woman was killed in a car crash in 1995 due to an icy road. It is said that you can see a white figure haunting the road that follows drivers until they pass the second cemetery on Route 68, headed into Baldinville. Take a drive down here if you dare, maybe you will be one of the “lucky ones” who catches a glimpse of this eerie figure. Beaver Brook Road, Littleton – There have been multiple reports of a ghostly farmer haunting this, all well as surrounding roads in the area. The reports received enough attention that the local newspaper ran an article and did some research which lead them to discover that there was actually a farmer that had been killed on that road in the past. Sightings of this farmer have only happened at night, do you dare venture out for a midnight ride to Littleton to potentially catch a glimpse of this haunted apparition? Ghost Road, Milton – This haunted road runs through the Blue Hills in Milton known as Ghost Road. This area of the Blue Hills used to be Indian territory, and although half of the road does have houses on it, the other side runs along miles of dark desolate woods. It is rumored that Ghost road is haunted by a family that can be seen wandering along the side of the road in the middle of the night. In addition to these sightings, visitors have reported getting chills and feeling as though they’re being watched by someone….spooky. Route 67, New Braintree – Take a drive along Route 67 one dark night and you may catch a glimpse of Elsie, the ghost rumored to wander this road in search of her long lost husband. The legend is that she was killed in a car accident on that road the night of her wedding while out looking for her future husband. She is said to wander the road in her wedding dress, and has only been seen on the night of what would have been her wedding anniversary, April 21st. Even though her anniversary is still months away, you never know what spirits are up and about with All Hallow’s Eve right around the corner! Route 44, Rehoboth – Route 44 is home to not one, but two ghostly apparitions. The first ghost is that of a red-headed hitchhiker who is said to terrorize drivers who go by on dark, lonely nights and has been known for “frightening acts”. The second ghost haunts the cemetery off of Route 44. The cemetery is said to be haunted by an old man who screams and pounds on car windows until they drive off in fear, what’s extra spooky is that he has been known to scream for a “Catherine”. Whether you believe these legends or not is up to you, but if you’re looking for an adventure this Halloween take a drive along one of these haunted roads, but remember, you’ve been warned. If you do visit one of these haunted destinations, please be respectful of personal and private property, many of these areas are heavily patrolled by law enforcement and trespassers will be prosecuted.